Cindy joined The Retirement Solution in 2008 with a commitment to delivering sound principles of financial management. She offers clients professional counsel in personal finance, investment advisory services, estate planning, and retirement planning. Cindy grew up in Camas, Washington and holds a BA in Finance from Washington State University. Following graduation, Cindy was accepted into Washington Mutual’s two year management training program where she spent 12 years in various financial roles. 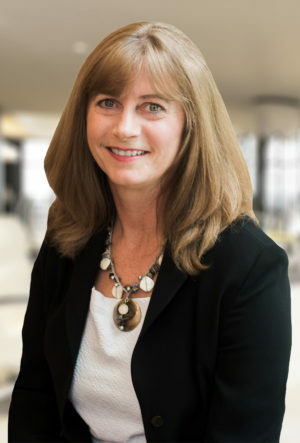 In addition to raising her three bustling children, Cindy was active in the Bellevue School District for multiple years as PTSA President, Treasurer, and Auction Chair, earning Volunteer of the Year and the Golden Acorn Award, which is awarded for outstanding service to youth in the community. Additionally, Cindy was awarded the Interlake High School Booster Award. When Cindy is not working she enjoys hiking, boating, and traveling with her husband. She also enjoys visiting her youngest daughter who attends Washington State University, her middle daughter living in Florence, Italy, and her son who is currently serving as a Recon Marine stationed in Camp Pendleton.